It’s not easy to change. I’m here to help. Hi, I’m Katie Reines. 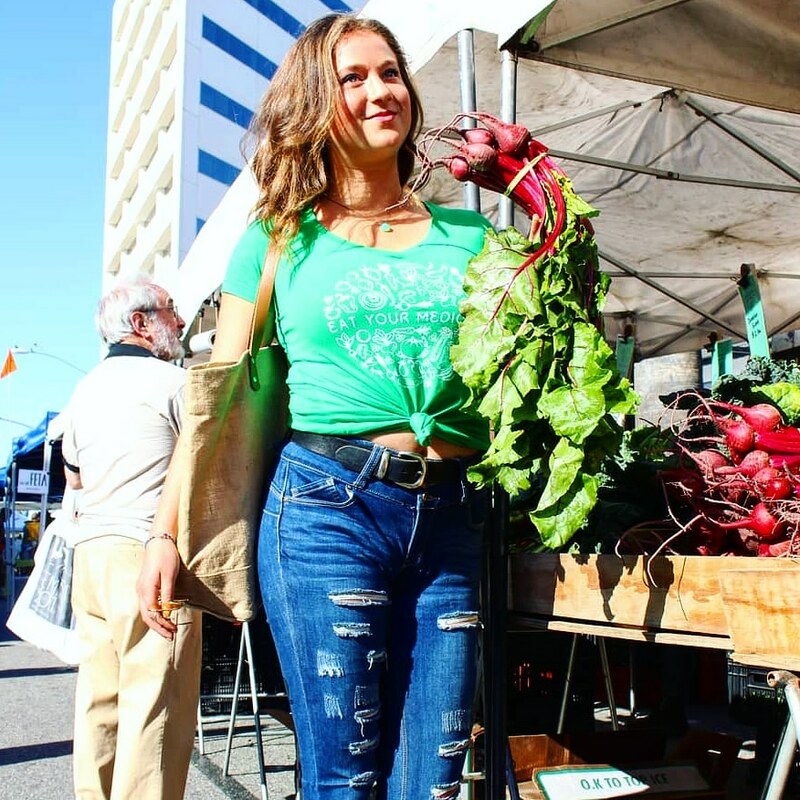 I am a registered dietitian, ACE certified personal trainer, certified vegan chef, and RYT certified yoga instructor with a master’s in human nutrition. As a 10 year old, I would ask random people on the sidewalk smoking cigarettes to please stop. Growing up, begging my mom to buy more salad. I loved everything to do with healthy food, dance, yoga, nature, and, well, life. There are a lot of people out there missing out on how incredible this life is. Whether that be due to disease lack of energy, and limiting beliefs or lack of self love. Getting life to go from just “good” to “amazing” is possible. It takes a look at life as a whole. Nutrition of course is an important foundation. Food is medicine. But also,community, self care, loving relationships, environment- everything. Let’s take a journey to make life amazing together! • I worked with plant based doctor, Dr. Laurie Marbas as the dietitian at Dr. Fuhrman's Health Oasis in Boca Raton, FL where I ensured proper nutrition for patients suffering from severe heart disease, extreme obesity, depression and anxiety, cancer, and autoimmune diseases. I performed food demonstrations and grocery store tours as well as conducted pot lucks where I taught the participants one-on-one hands on cooking for the recipes they provided. • In high school I interned for holistic health and nutritional counselor, Christine Lucas and obtained my raw vegan chef certification as well as began to teach Zumba. Throughout college I taught fitness classes including yoga, interval sculpt, and dance mania while double majoring in dietetics, nutrition, fitness and health. Sophomore year of college, I taught my own monthly series of plant based food demonstrations. I also was the health fitness columnist for the college greek newspaper, and I started a vegetarian club on campus. • I taught yoga and dance at the local YMCA in south Texas where I concurrently completed my master’s program and dietetic internship. • Today, I enjoy helping people like you to save the world with nutrition, fitness, and mindset practices. I also teach fitness classes and chef for The Shift women's retreats as well as other yoga retreats in California. I began my yoga journey in 2007 working as a receptionist to an incredible studio north of Boston. I taught all throughout college, and currently hold my RYT 200 and Yoga Fit Basics certifications. All of my recipes are for individuals looking to feel satisfied, calm, happy, energized, alive, and amazing, while saving the planet. Studies have shown that a nutritional foundation is essential for health and wellness. As a registered dietitian with a master's in human nutrition, I am here to help you prevent and reverse disease holistically with food as medicine. "Hi Katie, I'm happy to report my triglycerides are now within the healthy range going from 272 (~6 weeks ago) to 67. My doctor was shocked by the change considering the time period." - Jerry S.
Katie speaks so smooth and natural, it is very soothing to follow her class, you get to enjoy the moment purely like listening to one single poem :) - Kuniko, Chef. Katie is a natural and organic flowing and nourishing human being. - Andie RYT and Yoga Kids Instructor.